Following complaints from residents that the dog bin in the grass area in Black Street (near to the Cleghorn Street entrance) was lying on its side. I contacted the City Council about this and am pleased to note it has since been re-erected – see right. Following concerns brought to my attention by residents about the vandalism of a wheelie bin in the Black Street play area and some graffiti close by, I have had a very prompt response from the Waste Management Department of the City Council, who have promised action to tidy the area. Following the recent item on the blog about the Black Street play area, I have discussed residents’ concerns with the Economic Development Department of the City Council, who own the site. 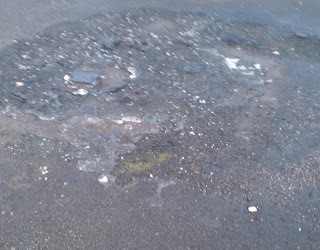 I am pleased to say it has agreed to repatching the damaged tarmac surface. It has also been agreed to tidy the site and it has promised to consider the suggestion the Community Policeman and I raised about having some line markings for youth football. I will now be speaking with the Leisure and Communities Department about portable goalposts that could be stored in the nearby Mitchell Street Centre. I am pleased with the positive response from the City Council as many residents in the area have raised this matter. I’ve recently approached the City Council calling for an improvement to the play area in Black Street. 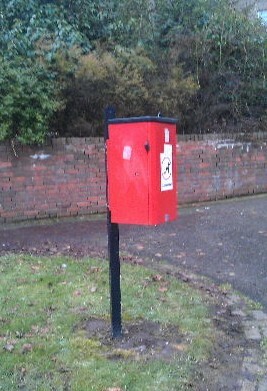 It lacks play equipment (as the photo – right – shows) and has in the past been subject to vandalism. 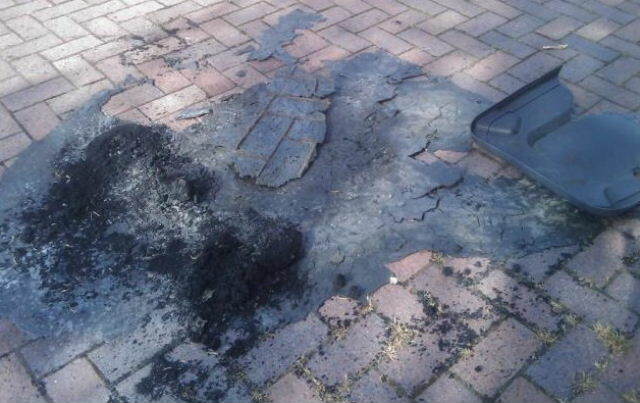 Last year, bonfires were lit on the tarmac surface, causing damage (see below). 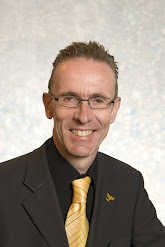 I have been speaking with a number of residents in the Black Street, Cleghorn Street and Benvie Road area recently and they felt that it was a waste of what could be a decent facility for local children and youths. I have also had a chat with the community policeman about the area and we both feel that it wouldn’t take much to undertake some repair to the surface to make it useable for football and with some white markings, a reasonable football area could be created. 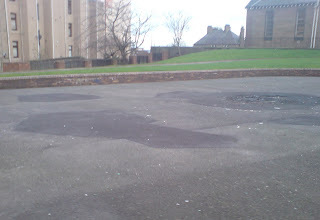 A couple of portable goalposts could be stored when not in use in the nearby Mitchell Street Centre. The area also needs a bit of a tidy but with quite minimal work, a usable facility for youth football can be created. It would be good to see the area looking a bit less tired and being put to better use. The playpark is in the ownership of the City Council’s Economic Development Department and I have approached the department for talks on the matter. On another matter, the Blackness Area Residents’ Association has been calling for a better bus bay in Blackness Avenue (on the north side half way down) so the bus can get properly beside the pavement – this is helpful for the mainly elderly passengers who alight there. I have been in discussion with the City Council about this and am pleased to say that the improved bay has now been painted.